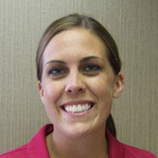 Betsy attended the UNMC College of Dentistry in Lincoln and has a Bachelor of Science degree in Dental Hygiene. She is the secretary/treasurer for the northern component of the Nebraska Dental Hygiene Association. An avid Husker fan, she also enjoys golf and loves to cook. Betsy lives in Albion with her husband and two daughters.